This product provides 24 hour lighting control for up to a 1000 watt ballast from a 120 Volt outlet. 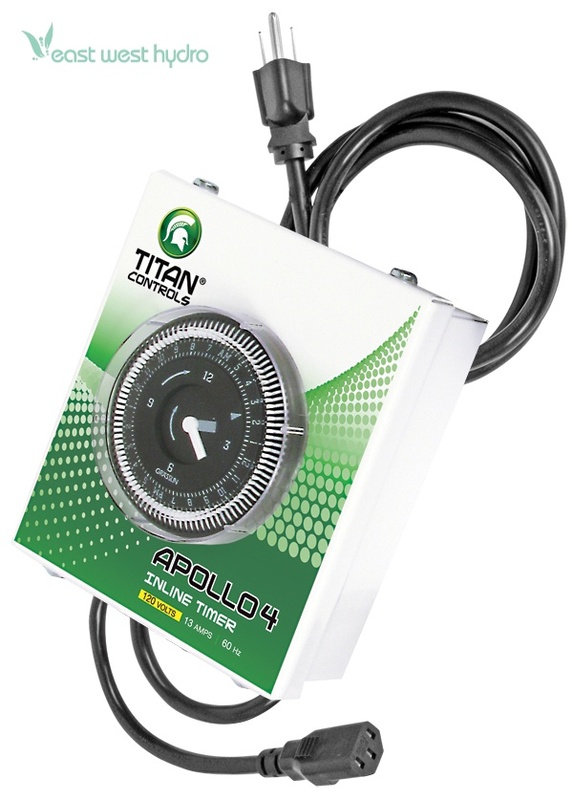 The Apollo 4™ is compatible with all 120 volt ballasts that feature a Smart Volt power cord. This includes: Sun System® 1, 6 & Crop Master™, Harvest Pro®, Harvest Pro® Elite, Budget Gro®, Galaxy® and Lumatek™ ballasts. This timer makes lighting control simple! 10 Amps/120 Volts/60 Hz./1000 watts. Dimensions: 8.25in. × 5.25in. × 3.5in.